1. In a large bowl, combine cucumbers, tomatoes, and onions. 2. In a smaller bowl, mix the olive oil, lemon juice, and dried oregano. Pour over the vegetables and mix well. Season salad with salt and pepper. 3. 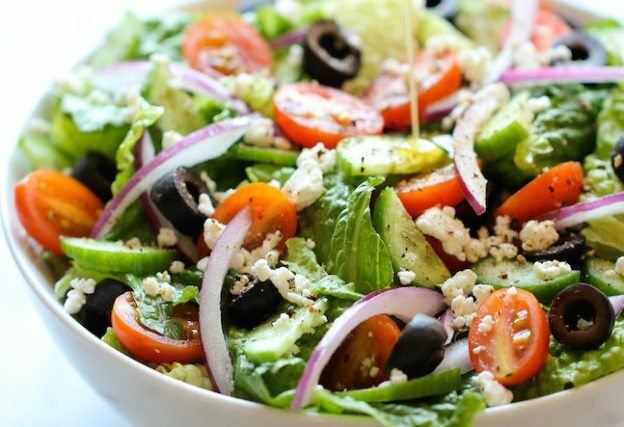 Sprinkle feta cheese and olives over the top of salad and mix. Taste and adjust spices if need be. Refrigerate until ready to eat. Enjoy!